A girlfriend recently asked me what there is to do in New York. For a brief minute, I was transported to my pre-kids life. At that time, I worked at an international fashion denim company and would frequently travel to NYC to meet editors at our showroom and oversee seasonal photo shoots. New York buzzed with excitement, day-long meetings and events, shopping marathons and late night dinners at the latest hot spot. 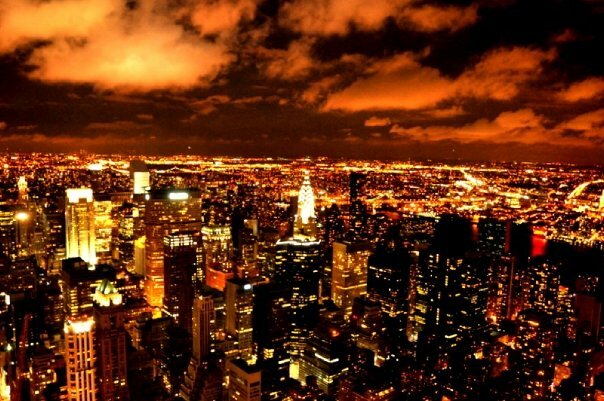 Fast forward to now and the last time I went to New York…quite different to say the least. Still one of my favourite cities, it’s another experience when you go with the fam. It’s the redefined version of fun and excitement. Our days are still jam-packed, the shopping itinerary has changed, and 7pm is now the new “late night” dinner. I’ve learned to fall in love with New York all over again, but this time through the eyes of being a mom. Here are some of the things that I recommended to my friend and of course now to you! Central Park – I love Central Park and can never go to New York without a quick stroll. We haven’t gone with my daughter yet, but my son loves to run through the park, climb everything he can possibly climb and be entertained by artists and street performers (or should they be called park performers?!?). We always grab some sweet treats from my one of my favourite bakeries, Bouchon and head to Bethesda Fountain for a little break. Central Park Zoo – Ever since we saw those Madagascar movies (I like to move it, move it…), we knew we had to visit this zoo. There were no Chris Rock talking zebras, but the zoo was still fun – and just the right size for a quick afternoon visit. We saw an abundance of wildlife, a show at the 4D Theatre, and even watched the sea lion feeding. Shopping – Shopping now consists of eye-rolling and “not another womens’ store” comments dispersed with frequent stops to more kid-friendly shops. 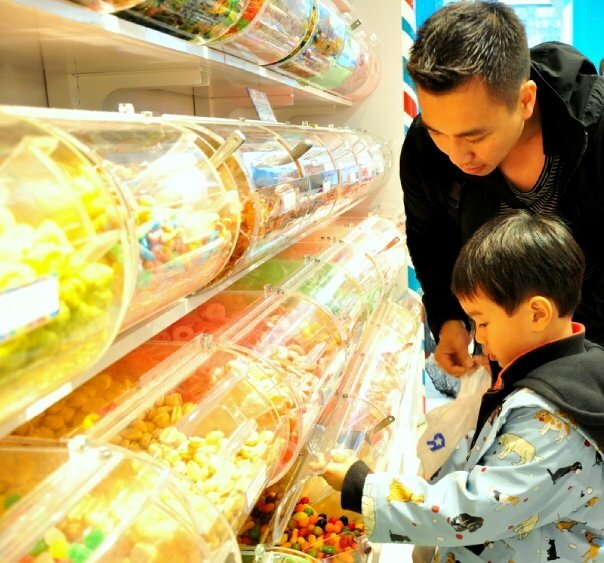 Must-have shopping destinations have now changed to ToysRUs, FAO Schwarz and The Disney Store. 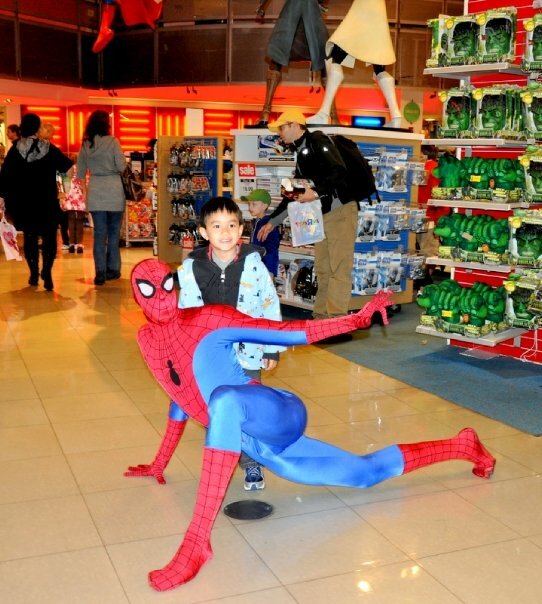 ToysRUs in the middle Times Square is the ultimate toy mecca for kids. You’re greeted by this gigantic indoor ferris wheel and then it’s floors upon floors of toys and more toys. If that isn’t enough to grab you, maybe the life-size T-Rex dinosaur will. Between the toys and candies, and even meeting your fave superhero, it’s amazing we were even able to pry our kid out of the store. 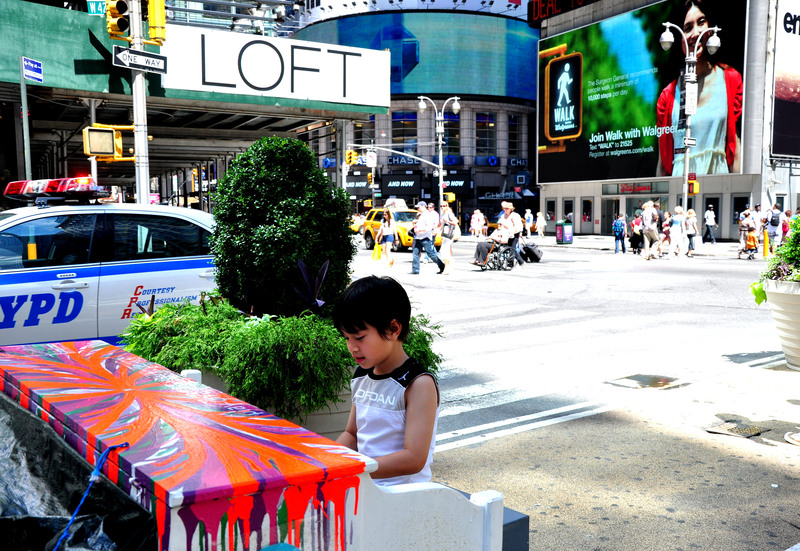 FAO Schwarz is another kids’ fantasy come true. Between these two stores, “this” is New York to kids. 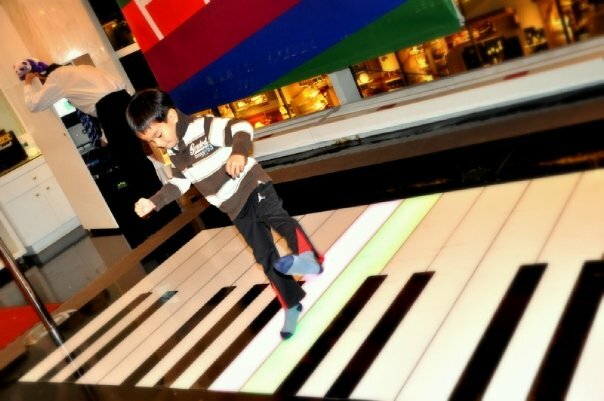 One of my all-time favourite memories is watching my son dancing away on the gigantic floor piano (think Tom Hanks in the movie, “Big”). 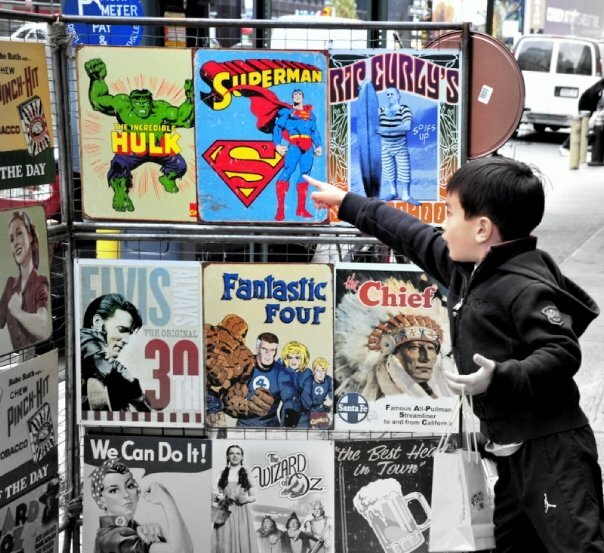 Other kid-approved shops include the mega Disney store (Magic Kingdom hits Manhattan) and the NBA flagship store (watch out for flying basketballs…). It’s not Gucci and Chanel but seeing your kid’s face light up is pretty priceless. 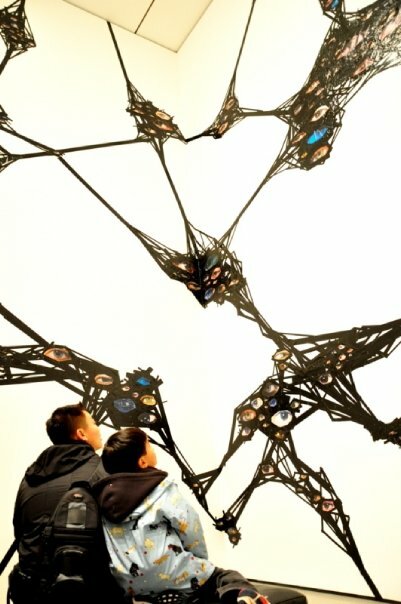 MoMa – We appreciate the arts, we are cultured…Translation: it rained! Yes, there was some initial eye-rolling…”a museum?” but once inside, the MoMa was a life-size maze of entertaining odd objects to my son. It was interesting to see which works of art would appeal to him and be entertained by the questions he would ask. In this little excursion we not only learned about art, but more about our inquisitive little guy too. 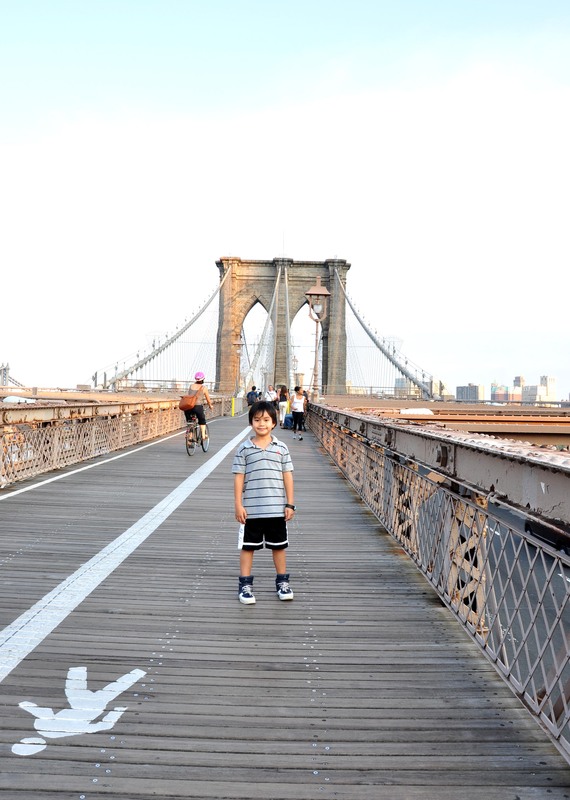 The Brooklyn Bridge – We love the pedestrian walk on The Brooklyn Bridge. It’s a wonderful view of the city and a great place to let the kids blow off some energy power-walking across the bridge and back. Best of all, it’s free! Chinatown – Enroute to some shopping in Soho, we love checking out Chinatown. Wandering the streets, our son finds all sorts of little treasures in the tiny gift shops that all seem to look alike. After succumbing to pleas for plastic swords and nunchuks, we enjoy some unique ice cream at the famous Chinatown Ice Cream Factory. Think fun flavours like Almond Cookie, Black Sesame, Taro and many others! Empire State Building – Seeing the “top of the world” with your kids is pretty fantastic. Yes, it’s very high…and no, King Kong won’t get you. 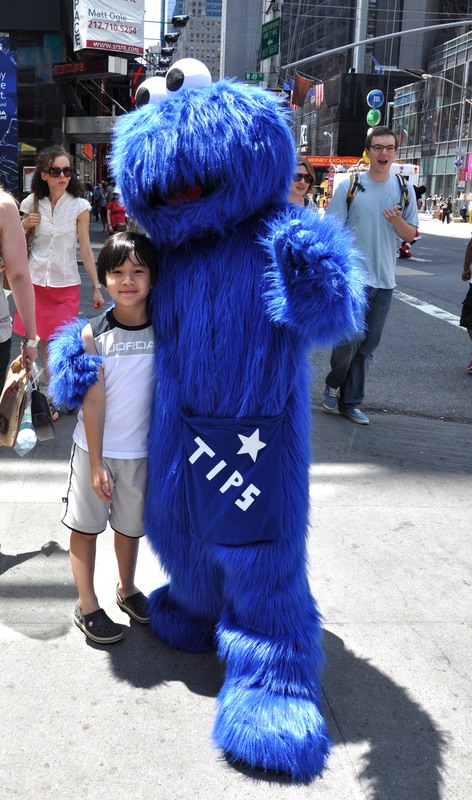 Time Square – Always full of bright lights and action, there is enough silliness to keep kids entertained. If you can pry your kids out of ToysRUs (see above) there are other places like M&M’s World. Yes, load them up on candy. Sugar. What all kids need more of. And why go to Disney and theme parks when you can see panhandling knock-offs of Mickey Mouse and was that Cookie Monster?!? We also have fun just sitting on the TKTS glossy red bleechers and watching the action around us.